LoCARNet, APN and AIT RRC.AP co-organised the “Capacity Building Workshop and Science-Policy Dialogue on Climate Change” on 6 – 8 February 2017 at AIT, Bangkok. About 50 researchers and policymakers from South Asia and South East Asia participated in the workshop. 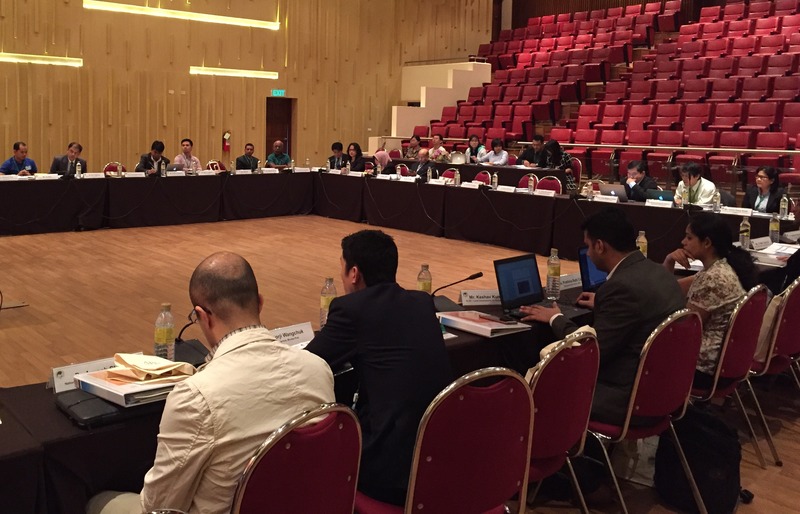 On the first day of the workshop, LoCARNet organised a policy dialogue between Thai researchers and policymakers (AM) and capacity building workshop targeted at South Asia (PM). Experts from LoCARNet (Malaysia and Thailand) were invited to introduce good practices of leading Asian Countries at this workshop, as well as efforts made to promote horizontal expansion of these practices based on South-South cooperation schemes. This was followed by a panel discussion on how to improve the capacity of the research community in contributing to scientific policymaking. On the second and third days of the workshop, APN organised a Science – Policy Dialogue workshop in a participatory style. The agenda of the workshop and a summary report of the first day are downloadable from the link below.